Dhumraketu, also referred as Dhumravarna, is the incarnation of Hindu God Ganesha that will appear at the end of the Kali Yuga. The Ganesha Purana and Mudgala Purana mentions about this avatar of Ganesh which has striking similarities with the Kalki Avatar of Vishnu. This final avatar of Ganesh is yet to take place. Ganesha Purana states that he will appear to annihilate the demon named Abhimanasura. Symbolically the demon represents the pride and attachment in the human beings. 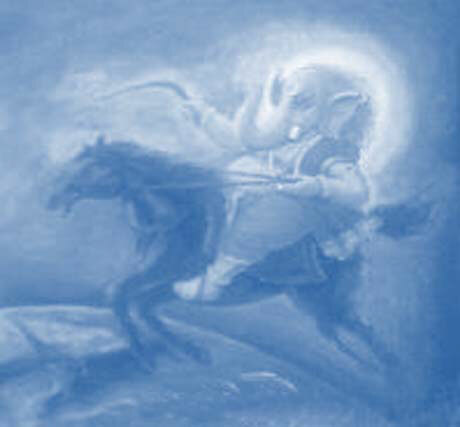 This is believed to be a fierce form of Ganesha and he will ride on a blue horse. In this form he will bring an end the Kali Yuga and will clean up the universe for the next cycle of creation.